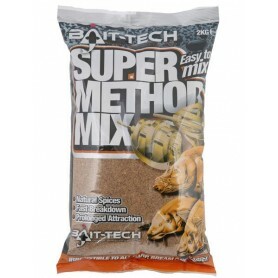 Bait Tech There are 12 products. 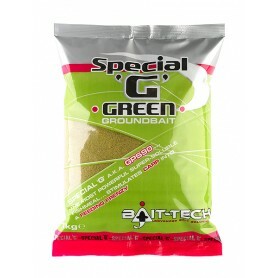 Any groundbait that’s formulated around a base of crushed Marine Halibut pellets is always going to be a bit special! 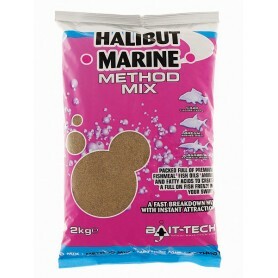 Halibut Marine Method Mix is exactly that yet it has also been blended with a host of other fishmeals and top grade ingredients to produce a fine-textured, unbeatable fast breakdown groundbait. The one everybody is talking about! A very unique fine blend of pure meat proteins, added meat meal and a few other secret ingredients. Pungent attraction is guaranteed! When you open a bag you’ll see what we mean. This is the ultimate success story. 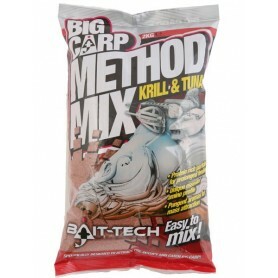 Made with Halibut Pellet and top quality Super Seed Hemp, this medium-fast breakdown method mix has accounted for thousands of bream and carp catches all over Europe. Time and time again it proves it’s worth – making Envy possibly the best method mix available. 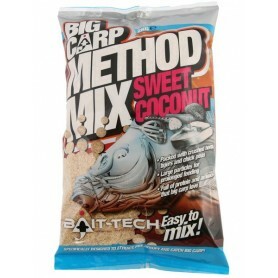 Groundbaits don’t come any easier to mix than Bait-Tech’s Mojo. Packed full of pure fish and the highest grade soluble fishmeals it’s a tried and tested formula suitable for all styles of fishing. Mojo is still the most respected big fish stick mix, method mix and spod mix available. After over a year of testing and development, it’s here! 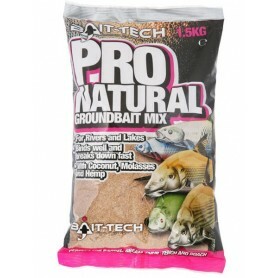 Bait-Tech launch its Pro Natural Groundbait. This new highly acclaimed mix is aimed at the sweeter side of groundbait and looks to target natural waters aimed at silverfish like Barbel, Bream, Chub, Roach Dace and Tench.